Homeowners considering new flooring have a wider variety of options than ever, including tile, carpeting, stone, resilient composites and, of course, natural wood. Depending on the location in the house and the indoor decor, any of these selections may be the right choice. In certain rooms, many homeowners incline toward wood as the flooring material of choice for both aesthetics and serviceability. A variety of hardwoods, from the domestic to the exotic, are available to meet the requirements of a wide range of tastes and budgets. In recent years, a traditional natural flooring material of the far east has increasingly captured market share that was once the domain of wood. 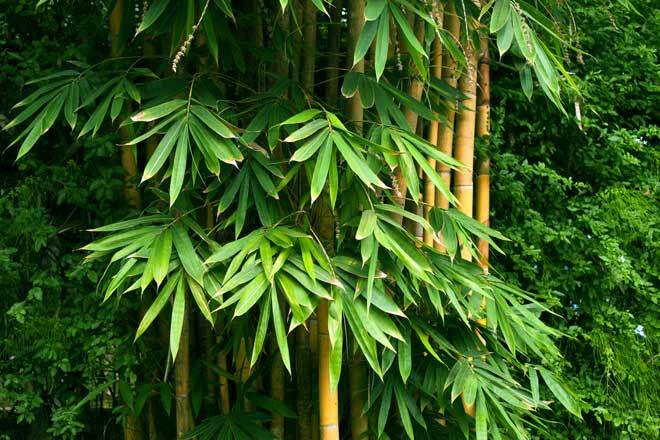 Bamboo is technically a species of grass, not wood. When fully grown, however, it displays certain qualities similar to hardwood. For centuries, groves of mature bamboo have been harvested and the thick tubular trunks manually sliced into strips for use as flooring in Asia. Today, more advanced and accurate automated methods produce bamboo strips from fully-grown stalks. After the individual strips are kiln-dried and selected for color uniformity, they are glued together under pressure and heat. Multiple strips may be vertically laminated together for conventional solid flooring material, or they may be cross-laminated to form engineered flooring for enhanced dimensional stability even under heavy loading. 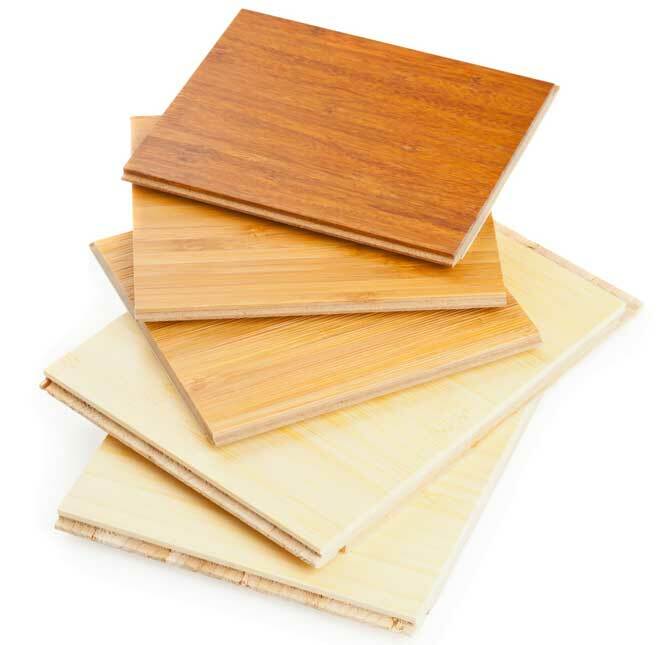 Bamboo flooring strips are typically milled into standardized sizes and configurations such as tongue-and-groove, and are available pre-finished or unfinished. An installed bamboo floor delivers a high level of natural aesthetics and visual appeal that compares favorably with conventional hardwoods. To enrich color, bamboo may be subjected to a carbonizing process where the raw strips are steamed at a very high temperature to alter the composition of sugar and starches, shifting the coloration of the material. The duration of the steaming process determines the depth of the final shade. Though it’s not sourced from hardwood trees like conventional flooring, bamboo shares many of wood’s classic virtues. While bamboo exceeds the benefits of hardwood in some respects, it also comes with some of the limitations of wood, too. Here’s a rundown of the specific pros and cons of bamboo. Excellent durability. Bamboo compares very favorably with conventional hardwoods typically utilized in flooring applications. Manufacturers’ specs generally state that a floor should last a minimum of 30 years to 50 years to be considered a “lifetime” product. In that respect, bamboo is equal or superior to other wood flooring alternatives. Bamboo has a hardness ranging from 1130 to 1640 on the Janka-Ball scale, the industry standard for rating wood durability. This places it well above pine and maple in hardness and durability and approximately equal to red oak, a very common choice for hardwood flooring. Also consider the fact that bamboo is increasingly a preferred choice in commercial settings with high foot traffic and equally high potential for wear and tear and other damage. Favorable economics. Bamboo is generally less expensive than most hardwoods, domestic or foreign. At the consumer level, the price of bamboo per square foot ranges from as low as $1.50 up to $7.00. Easy care and cleaning. Unlike some exotic hardwoods, bamboo imposes no unique or exceptional maintenance requirements. Nor does proper cleaning require application of harsh or unconventional cleaning solutions or other specialized substances. Regular sweeping and/or vacuuming to remove surface grit that could dull the finish is standard procedure for any hardwood floor, including bamboo. Weekly damp mopping with water is also recommended. When required, the best DIY cleaning product is as simple as a natural mild solution of 1/4 cup of vinegar mixed with a quart of warm water. Color-coordinated and refinish-friendly. Bamboo’s natural blond hues are neutral and thus harmonize well with any indoor decor or color scheme. Sanding, staining and sealing a solid bamboo floor to achieve darker shades, if desired, is a straightforward procedure utilizing standard refinishing methods that produce predictable and stable color outcome. Environmental and conservation benefits. A great deal of hardwood sourced for flooring comes from stands of old-growth trees that may be 50 years of age or more. Replenishing these cut forests can take up to a half-century. Because bamboo grows much faster, however, most of the crop is harvested when the plant reaches maturity at only 5 to 6 years, making it a rapidly renewable “green” source of flooring material. Because cutting bamboo doesn’t kill the roots of the plant, cut areas recover fast and regrowth is abundant. Increased reliance on bamboo helps preserve slow-growing hardwood forests. Impacts and weight. Though it’s not a wood product, bamboo comes with most of the usage precautions that also accompany common wood flooring. Both wood and bamboo floors must be considered potentially vulnerable to impact damage. Impact from heavy sharp objects or continuous overload of excessive weight can dent or deform bamboo, just as it will damage most other common flooring woods with similar hardness ratings. Stains and discoloration. As with other woods, spills of certain substances that aren’t removed promptly can stain a bamboo floor. The naturally neutral shade of bamboo can also be discolored in areas if exposure to light is blocked by certain objects for a extended period of time. It’s a good idea to periodically re-position any floor mats, throw rugs or other items to permit consistent light and sun exposure across the entire floor and avoid darkening beneath these objects. Also, use of unapproved cleaners or other chemicals could cause a shift in coloration. Water exposure. Most people realize that wood flooring of any type generally isn’t ideal for frequently wet or highly humid rooms. Like wood, bamboo may swell and/or lose hardness due to chronic exposure to moisture. While properly-cured bamboo is actually slightly more water-resistant than most hardwoods, use in very humid bathrooms where wet feet and splashing also leave pooling water on the floor may be problematic. Selecting bamboo for bathroom installation requires careful consideration beforehand and extra preventive care afterwards. Splashes and puddles should be avoided where possible and mopped up ASAP. Bamboo installed in a bathroom should be sealed on both sides with special waterproofing sealant. Because moisture exposure is more incidental and sporadic in a kitchen, bamboo floors are frequently and successfully utilized in this environment, given the same preventive cautions and ongoing care recommended for hardwood floors in similar usage. Indoor environmental issues. Some manufacturers of bamboo flooring in Asia have utilized glues and other substances in the fabrication process that release volatile organic compounds (VOCs) such as formaldehyde. High levels of VOCs outgassing from building materials are considered an indoor environmental issue by the U.S. Environmental Protection Agency, which publishes standards for maximum safe exposure to these vapors. Many Asian bamboo manufacturers now utilize glues sourced from European or American companies that are certified to have low VOC content that meets EPA specs. 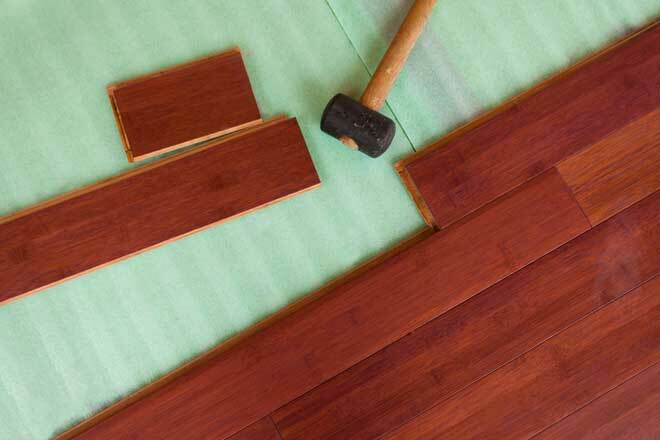 Consumers should shop carefully for bamboo flooring and inquire about VOC/formaldehyde content. Careful consideration of both the pros and cons of bamboo helps you comparison shop and make an informed buying decision. While no flooring material—be it concrete or high-end hardwood—is perfectly suitable for every application, in many residential scenarios bamboo is increasingly the choice for optimum appearance and durability at an affordable cost.